Today we end our August Stamp Highlights with Sentimental Borders. These borders really speaks for it self! Let's take a look at what our Design Team have for us today! These borders are perfect for creating a subtle background! We love the blue against the white embossing! Laura used the Sentimental borders to create a background. She used the Inline Letters dies for the sentiment with some ink blending underneath. 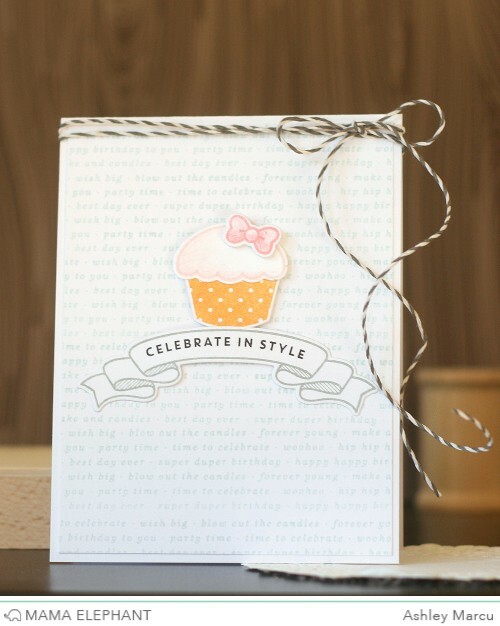 Sentimental Borders adds a soft trendy backdrop to this sweet celebration card! Torico made a mask using a circle die and stamped a sentiment border in four colors to create her own patterned paper. 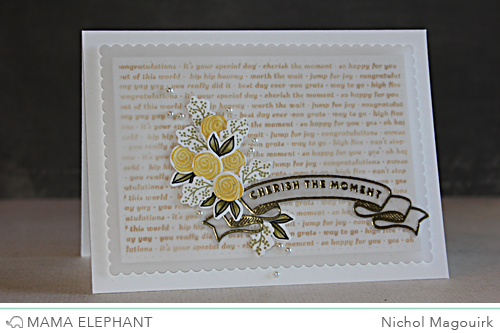 Nichol created an elegant background for her card by repeatedly stamping one of the Sentimental Borders with a gold ink on the stitched rectangle Index Card Creative Cuts Die. She layered the scalloped die cut vellum over the text and added minimal stamped embellishments on top for the perfect wedding or anniversary card! Such wonderful cards! Can't wait to get this set! 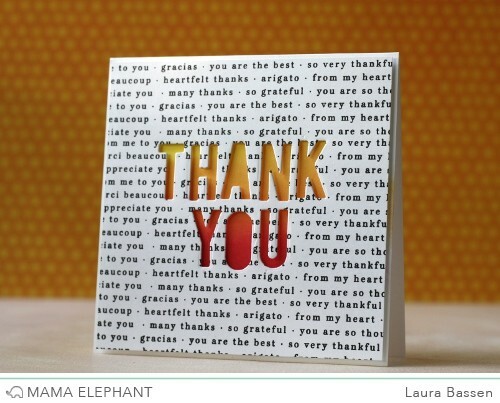 Very creative cards using sentimental borders...neat to see the different ways to use them. Love all the cards ladies such variety some fun, some sweet, and some pretty thanks for all your hard work! This is an awesome set. Love all the different ways that it can be used. It is very versatile stamp set. This is such a wonderful set and I love everyone's cards! I would really like to see a video or two on how to line up the sentiments so they are straight. I find it difficult and would like some tips. I would have never thought that there were so many options for this set! The DT is WONDERFUL! Great cards! This stamp set is a must have! So many possibilities with it and it adds so much charm to any card! I love the creativity of the DT and their use of these border stamps! These stamps are a must-have!